With changing requirements for personal injury cases and complicated state-by-state laws, a Pennsylvania personal injury lawyer will be able to help you determine the feasibility of a personal injury case against another party. Changing state laws, especially in Pennsylvania limit the liability of defendants and may even cap the amount of damages you will be able to recover from a negligent party. Therefore, it is best to retain the services of a Pennsylvania personal injury lawyer that will be able to serve as your advocate in court while maintaining an awareness of your legal right to seek damages against negligent parties. Pennsylvania recent passed a comprehensive tort reform law, known as the Fair Share Act that limits the liability of defendants in personal injury cases. Under the provisions of this law, a negligent or liable defendant is no longer forced to pay full damages in situations where the defendant’s negligence does not exceed 60%. Any percentage of negligence under 60% will be paid out proportionally. Multiple parties can also share the liability under the new tort reform law and will have to remunerate the plaintiff by a factor of their negligence in the case. 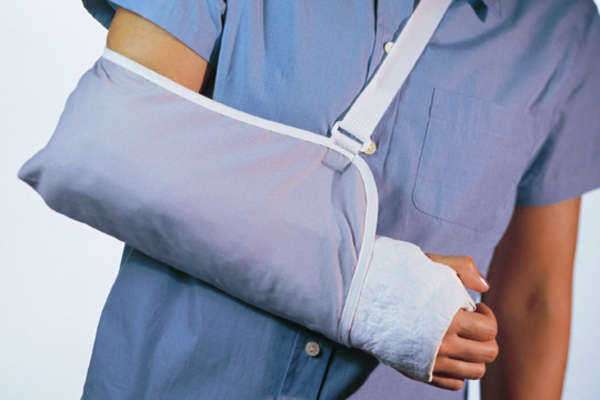 What should I bring when meeting with a Pennsylvania personal injury lawyer? You must bring relevant items such as police, medical and insurance documents related to the injury to the appointment. These documents will help the Pennsylvania personal injury lawyer determine if the other party is indeed liable and if this liability can be proven in court. The lawyer will need to prove the correlation between your injury and the actions of the negligent party. Remember that you will only be able to sue for damages if you have suffered an actual injury, rather than anticipating that an injury will occur in the future. How do I know my Pennsylvania personal injury lawyer is legitimate? The Pennsylvania Bar Association is a voluntary organization of Pennsylvania personal injury lawyers and others that abide by a code of professionalism and ethics. You will be able to feel secure in the knowledge that you have a lawyer that abides by these professional codes and will have the entire resources of the Association, including continuing legal education and a professional network of similar lawyers that will be able to advise and guide the case. The Pennsylvania Bar offers a low-cost lawyer referral service that can connect clients to a potential Pennsylvania personal injury lawyer that will able to take their case. This service charges $30 for a 30 minute consultation, $15 of which is returned to the lawyer referral service. If the lawyer you are connected to will not charge for consultations, which is common in personal injury cases, then the fee will be only $15, all of which is returned to the service. Pennsylvania is a state with comparative negligence laws that can potentially bar a claim if the plaintiff’s negligence is greater than that of the defendant. A plaintiff’s damages are reduced by a factor of how negligent his or her actions were in the situation that led to the personal injury. What are the typical rates of a Pennsylvania personal injury lawyer? A Pennsylvania personal injury lawyer that works on contingency is the best option for your case. Contingency arrangements minimize the costs to the clients and often will cost the client very little if the case is lost. While even in contingency arrangements, there are court and other fees to be paid, a contingency arrangement will help you avoid costly hourly fees or an uncontrollable retainer account. Contingency fees are not limited under Pennsylvania law. Depending on the arrangement, the Pennsylvania personal injury lawyer will have a greater incentive to end the case quickly, yet maximize the damages paid so the contingency fee will be higher. Ensure that the lawyer is incentivized by a percentage rather than flat fee. A flat fee provides no incentive for the Pennsylvania personal injury lawyer to maximize the damages won. Take advantage of free consultations when they are available to discuss potential fees and payment arrangements with Pennsylvania lawyers. You may be able to arrange low cost and extended payment for legal services at the discretion of the attorney or law firm. What are questions to ask Pennsylvania injury lawyers? Are you an active member, in good standing, of the Pennsylvania Bar Association? When suffering a personal injury, a lawyer in Pennsylvania can assist you with filing a claim against the liable party. Due to the change nature of personal injury law in Pennsylvania, such as the Fair Share Act, a personal injury lawyer will be abreast of the latest developments that could affect your case. This is a major advantage over a non-local lawyer who may not be aware of the shifting legal landscape due to the rash of tort reform movements. A free consultation with a personal injury lawyer Pennsylvania will help you determine your share of negligence in the claim and potential weaknesses that could jeopardize the case. For counties not covered by the lawyer referral service, such as Philadelphia county, there are independent lawyer referral services that will be able to provide the same level of service as the statewide lawyer referral service. The personal injury lawyer Pennsylvania will also be able to advise you on if you should accept a settlement or proceed with a trial. Contingency arrangements are important when dealing with personal injury lawyers in Pennsylvania to keep the costs of your case down. There is no limit to what a personal injury lawyer can claim as a contingency fee, so exercise due diligence when determining you contingency arrangement with a personal injury lawyer in Pennsylvania. When choosing a contingency arrangement with personal injury lawyers in Pennsylvania you have the assurance of protections from excessive fees by the relevant Bar Associations as well as Pennsylvania state laws. Always ask an abundance of questions when consulting with a personal injury lawyer in Pennsylvania, to understand your case better. In the event you need the services of a free personal injury lawyer Pennsylvania, legal services are available to low income residents. You should contact the local or state bar association about current available and future pro bono legal representation. Remember though that most personal injury lawyers will work on contingency at very little cost to the client.